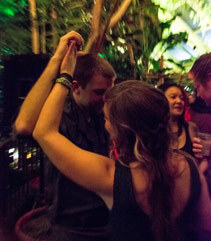 Sip cocktails in the tropical Bolz Conservatory and enjoy the beats of local DJs! All proceeds benefit the Gardens! DJ ACE is a local female DJ in Madison who has been DJing for over eight years. She has a smooth style that always keeps the party jumping. She loves to inspire young girls that they too can be a DJ. Glynis has been a member of the Madison music scene for four years. She is apart of Foshizzle music collective, which strives to create safe and welcoming spaces. Glynis plays a wide range of music - expect to hear disco, down-tempo, house, funk & more. 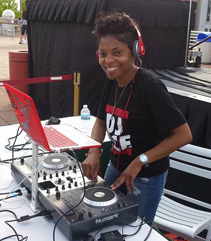 Now known for her abilities to rock a club crowd, DJ Urbane (Chandon Williams) found her DJing roots in Drum and Bass 13 years ago and is now opening for internationally known acts such as DJ Havana Brown and DJ Blend to name a few. DJ Urbane brings a great level of energy to every set. 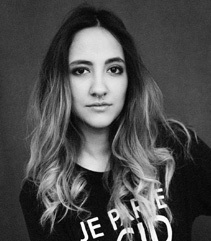 She is known for encouraging crowd participation, dancing, and jumping around during her sets. She is there to enhance and lead the audience as they experience the set together, not apart. Once listeners hear and experience a set by DJ Urbane, they are hooked. $8 admission at the door. 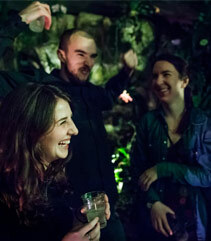 Front doors open at 6:30 p.m. - Conservatory doors open at 7 p.m.
$5 admission from 10-11 p.m.